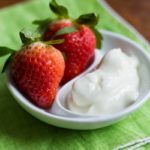 This yogurt fruit dip has only two ingredients! Stir it up in just moments and serve with your favorite fresh fruit. Look out, the kids are coming! Can you hear them? I’m hungry. When are we gonna eat? When’s dinner? Can I have this? What’s in this box? Can I have dessert first? Before you resort to hiding in the garage and amusing yourself by rearranging the laundry alphabetically by brand (a sure sign of impending madness), take a deep breath. You’ve got this. All you have to do is put together a snack. A quick snack doesn’t have to be complicated or time-consuming. It’s simply a little food plus a little drink, right? With that in mind, I have a snack hack for you that’s easy to pull off. 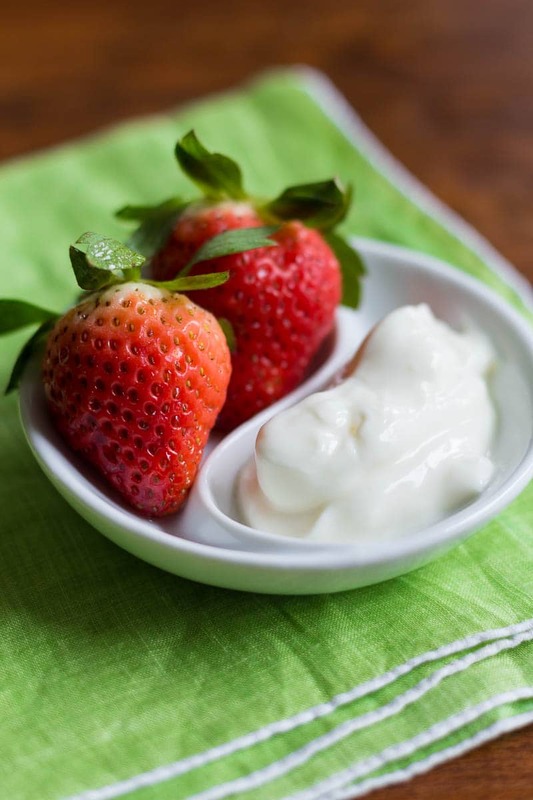 You only need two ingredients for this yogurt fruit dip! Just stir it up and serve with some fruit for dipping. 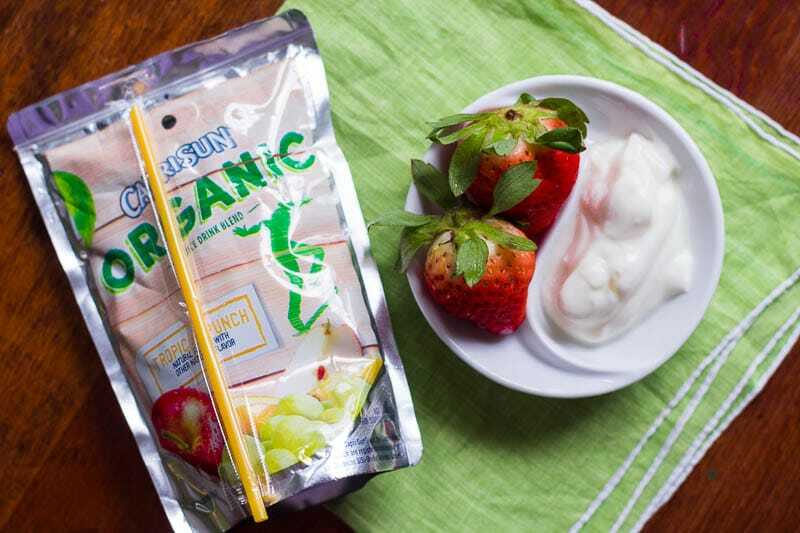 For a refreshing snacktime beverage, you can serve Capri Sun Organic juice drinks. They’re easy to serve and easy to love, since they’re certified USDA Organic and contain 100% of your daily value of Vitamin C.
You can find Capri Sun Organic at retailers nationwide in Fruit Punch, Tropical Punch, Apple, and Grape flavors. I really like how the Capri Sun Organic juice drinks have no added sugar and no artificial colors, flavors, or preservatives. When you put it all together, you have a fruit themed snack that kids will love and parents will approve. That’s the beauty of snack hacks like this; they make everyone happy and they fit quite nicely into a healthy lifestyle. Choose any fruit you like for dipping: bananas, berries, apple slices, you name it! The sky’s the limit. Here’s a secret trick for measuring honey. Put a drop of oil (such as canola oil) on your fingertip, and then rub a thin layer of oil on the inside of your measuring spoon. Voila! The honey will slide right out without sticking to the spoon. Any honey will work; however, I encourage you to explore your local honey scene and find a honey you love. Around here, I’ve found orange blossom honey, black mangrove honey, and raintree honey! You’d be amazed at the different varieties of honey you can find when you start looking. 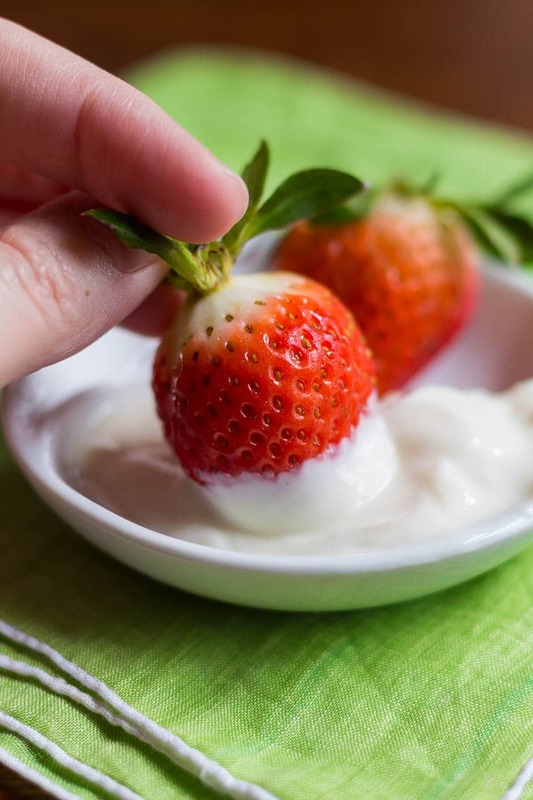 For a ridiculously easy garnish, top the finished yogurt fruit dip with a tiny extra drizzle of honey. Can’t get enough of fruit and yogurt? Try this very berry yogurt bowl. Combine the yogurt and honey. Stir until smooth. Serve with fruit for dipping. Great, simple idea to tide the kids over til dinner. I especially like the tip on how to keep the honey from sticking to the spoon! With so many unhealthy options for snacks these days, it’s nice to have something nutritious! Thanks for sharing! Nobody can complain that this recipe is too complicated to make! Raw honey would be great to mix with yogourt to maximize the health benefits of this recipe. This is a great way for kids (and adults) to enjoy fruit. Ha, not too difficult, right? Sometimes you need a two ingredient recipe in your life. This will be a great snack not only for kids, but I also think for adults who are trying to watch what they eat . I can see me taking this to work and using it as my mid afternoon snack. I love that Capri Sun has an organic option now! I love yogurt dip there is nothing better then fresh fruit dipped in it. Sounds like the perfect after school or summer time snack for the kids. My kids would absolutely love this! They can go from just fine to starving in 2.2 seconds, so I love that this dip is quick to make! 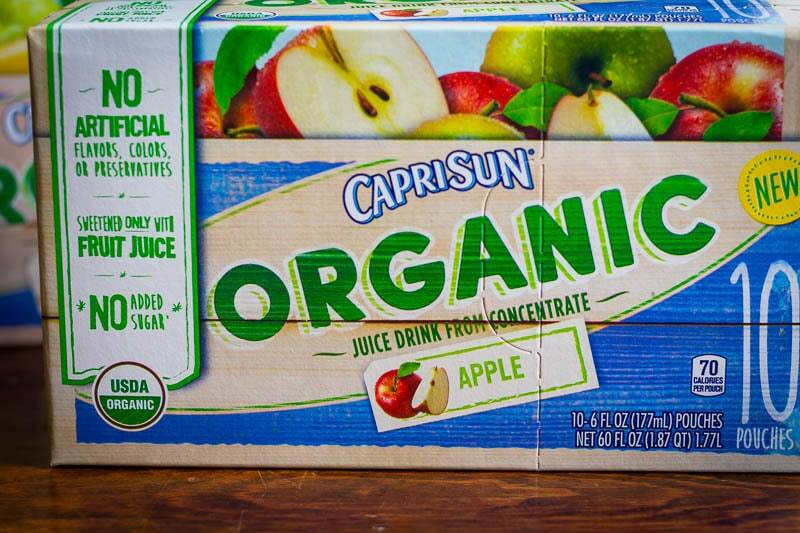 I didn’t realize that Capri Sun now has an organic option – that’s even better! I love how simple and pure this recipe is!! So easy to make and I bet it tastes great! It is the perfect afternoon snack when you are craving sweet! Plus, if you use Greek yogurt, you’re getting a protein boost too! I love the flavor combo of honey and yogurt. I always add honey to my yogurt because when I make it I never sweeten it with anything else so it’s a healthy option. I never thought to use it as a fruit dip though, I have to try that! The kids seem to like it. It makes eating fruit a novelty again! Using local honey has health benefits too! Eating local honey every day has beEn shown to reduce allergies. Added bonus, you’re supporting your local economy too! My kids love Capri Suns and we almost always have them in the fridge. Exactly! Local honey is awesome and I promote it every chance I get. I’m always on the lookout for a new supplier to try. Florida tupelo honey is amazing. 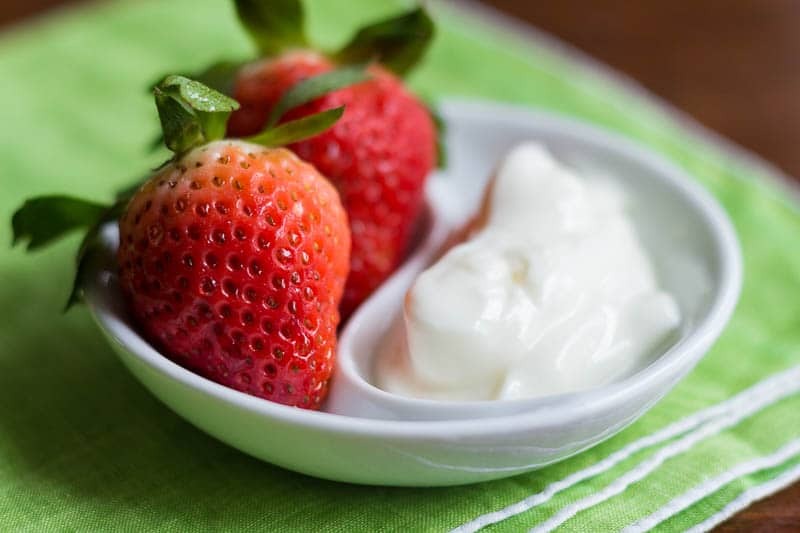 I love the simple snack of a yogurt dip! This sounds like a great healthy option and we like Capri Sun juices! We do too! I like that there’s an organic option now. I love making yogurt dip for the kids! I always add a touch of cinnamon, fresh vanilla bean (if I have any on hand) and sometimes a pinch of turmeric! It’s such a flavourful yet healthy dip to serve the kids. I love cinnamon too! Especially Ceylon cinnamon. I have seen so much with yogurt and honey inside of recipes! This would be delicious!